Actress who originated the roles of Maureen in Rent and Elphaba in Wicked. 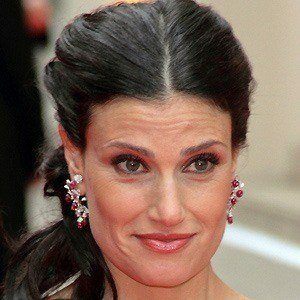 For the latter performance, she received a 2004 Tony Award. 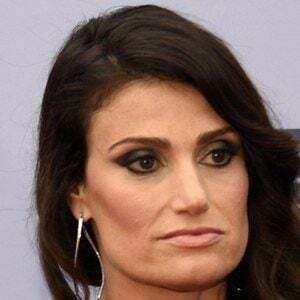 She also voiced the character Elsa in the 2013 Disney film Frozen, providing vocals on the Academy Award winning song "Let It Go." During her teenage years, she sang at bar mitzvahs and weddings. She later graduated from New York University's famed Tisch School of the Arts. She reprised her role as Maureen in the 2005 film Rent and she portrayed Nancy in the 2007 feature Enchanted. She was married to actor and co-star Taye Diggs from 2003 until 2013; they had a son together named Walker. She married her Rent co-star Aaron Lohr in September 2017. She appeared on Glee alongside actress Lea Michele.